Welcome to Sweden…and another cold wet weekend. After seven years in Asia and sweltering heat, I am perfectly content with a nice cold wet weekend; but, throw in a 10 month old and a super high energy 3 year old in one small apartment…well, things begin to resemble something akin to ‘The Shining‘. So, to help stave off any unsightly incidents with sharp objects, we decided to take a nice half-day trip to visit the nearby town of Markaryd and the Moose & Bison Safari. 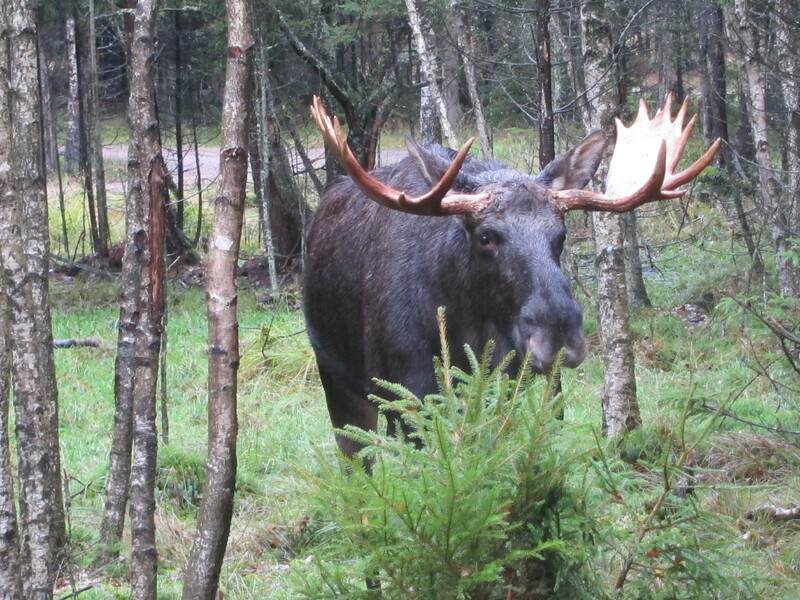 We have been hearing from numerous friends that the moose are out all over; but, since we live in town we had not seen any yet. We even have spent a couple evening after my wife gets off of work driving around the small roads out of town hoping for a moose encounter. Despite our efforts, we only have managed to spook a few rabbits and a deer. So, in hopes of finally seeing a moose,we departed Almhult promptly following M’s morning nap and took a wonderful drive down quaint country roads, enjoying the weaving of farmland and forest while the trees showed their Autumn colors and shed their leaves. The drive was only 45 minutes, but we took our time and soaked up the Swedish countryside. 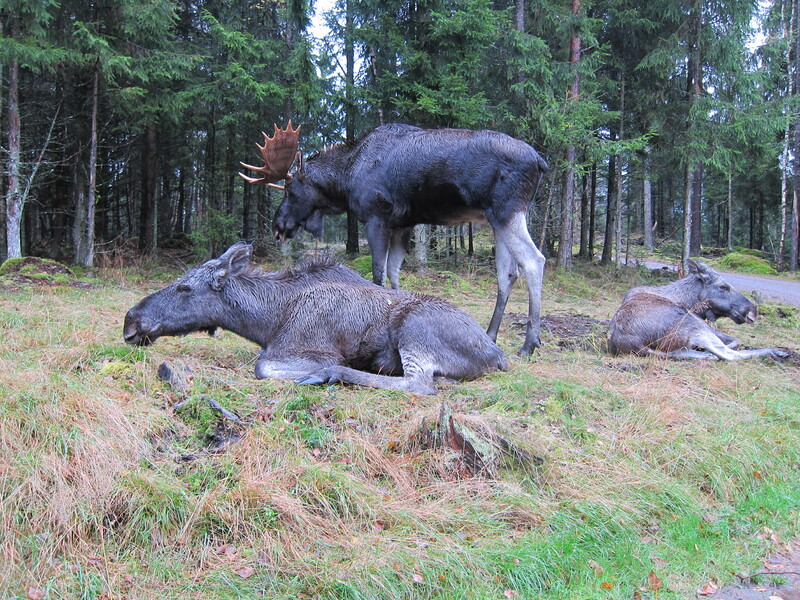 The Moose & Bison Safari is located on the farm of Smalandet and the surrounding forest. While being smaller than anticipated, being in the off season, there were only three other vehicles touring the Moose and North American Bison park, so it was quite easy for us to spend as much time along the forest road as we cared to. 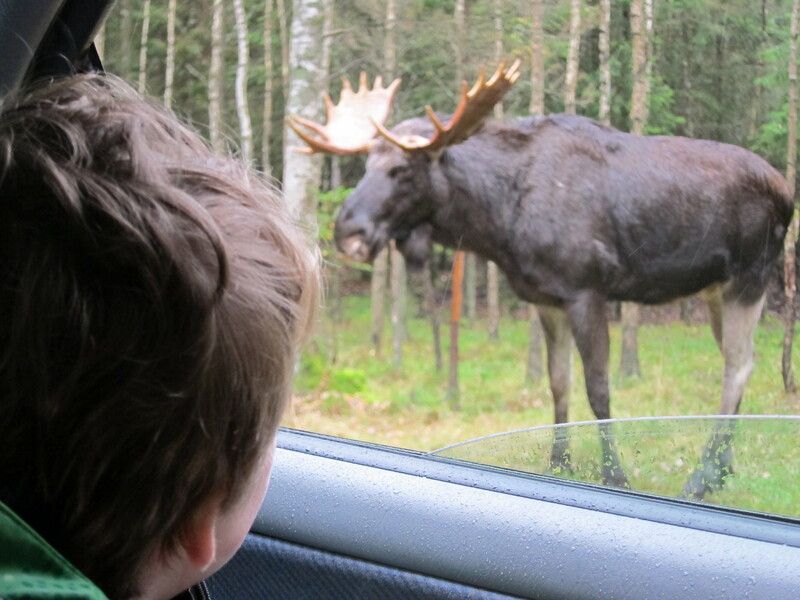 And, as the park was smaller than anticipated, there were also fewer animals than expected; but even with that, when the first bull moose walked right up to our car, glared in, and then sauntered off to the females lounging on the side of the road…we didn’t mind. K in particular was very excited about seeing these massive animals up close and personal. 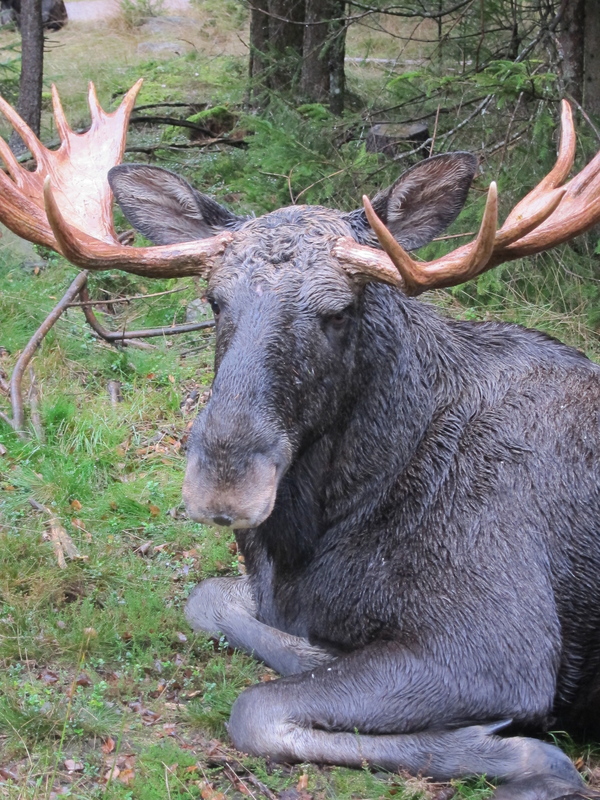 Bull Moose – FYI: the shed their antlers every winter and grow them back by the mating season in September & October. K mesmerized…and yes, we had to tell him many times that he had to stay in the car. 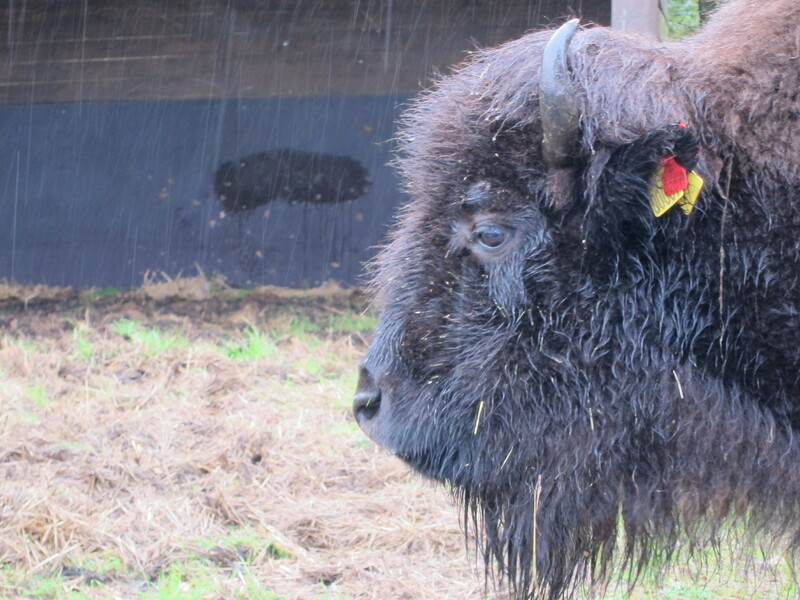 As of 2008, the North American Bison was introduced to the park. Thus far, their has not been any successful cross-breeding between the two beasts. That was our trip to the Moose & Bison Safari. And while the park was a bit small, the close encounters, the scenic drive, and K’s excitement made it all worth while. It looks fantastic. K must have been a handful to keep him in the car. I know how he likes animals. Really enjoyed your blog and the pictures were fantastic. Next Next post: To Pee or Not to Pee (In Public)?